This sweet little number consists of ten dancing tulip stems combined with fresh seasonal foliage. Want to add a little something extra? Consider teaming them with a scrummy box of truffles from our little extras range for added measure - YUM. 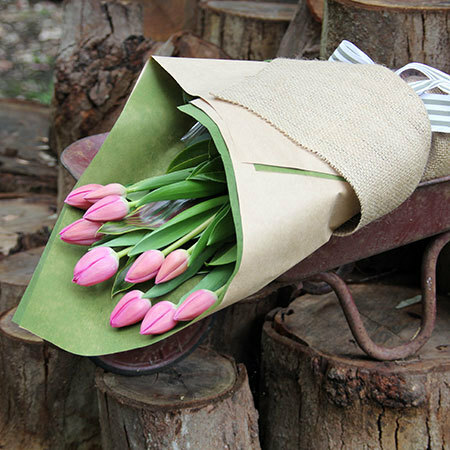 Send these tulip flowers online, email us directly to sales@flowersforeveryone.com.au or phone our floral consultants on 1800 66 66 46. PLEASE NOTE: Our special tulip offer and free candle is available for flower delivery in SYDNEY & MEBLOURNE METRO REGION ONLY. 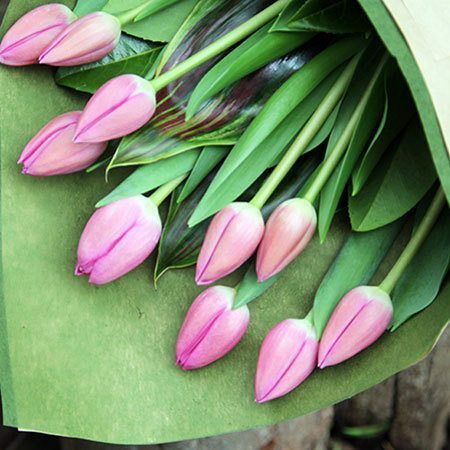 If you would like to check whether tulips can be sent elsewhere in Australia, please contact our team on 1800 66 66 46 or send an email to us directly at sales@flowersforeveryone.com.au for advice and a custom quote.